The expenditure amount was up from Rs 1.46 lakh crore set aside during the union budget of 2018-19. 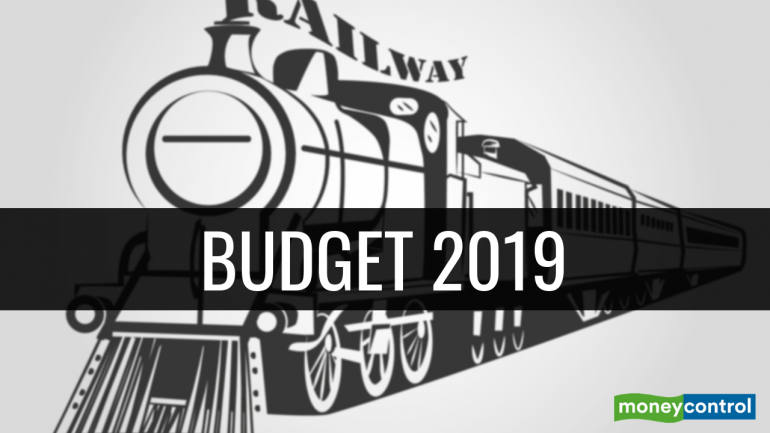 The government on February 1 announced a massive allocation for railway’s capital expenditure at Rs 1.58 lakh crore under the interim budget of 2019-20. "Budgetary allocation for railways has been increased to Rs 64,587 crore," Piyush Goyal, interim finance minister said. The total budgetary support to railways was Rs 66,768.67 crore. The amount was Rs 55,088 crore in 2018-19. The budgetary allocation was Rs 41,813 .8 crore in 2017-18 and Rs 45,231.63 crore in 2016-17. Presenting the Budget, Goyal, who also holds portfolio of railways, said that Indian Railways has “experienced the safest year in its history”. "All Unmanned Level Crossings on broad gauge network have been eliminated," he said. This would be the third combined railway budget with union budget after the practice of presenting separate budgets was abolished in September, 2016, ending a 92 year old practice. Railway ministry, which is also headed by Goyal, started many new trains, including indigenously manufactured Train18, made Wi-Fi available at stations, built rail over bridges, among many other things. "Introduction of the first indigenously developed and manufactured semi high-speed Vande Bharat Express (Train18) will give the Indian passengers world class experience with speed, service and safety. This major leap in wholly developed technology by our engineers will give an impetus to the Make in India programme and create jobs," Goyal said.